• Worker housing for farms, vineyards, agriculture. Certified Engineering, many custom options, Easy to set up, 20 year structure warranty, All Season Comfort. Dunia al Iraq offers an extensive range of modular and portable buildings, ideal for creating offices for temporary or permanent use. 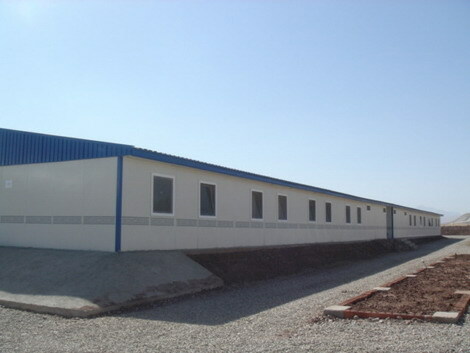 Our container buildings are available in a wide range of sizes and multiple levels. 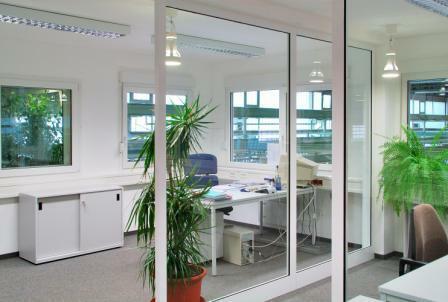 For flexibility, internal layouts are designed to meet your office requirements. The container office is fully equipped including climate control systems, high quality furniture and telephone/internet access systems to create a quality working environment. Dunia al Iraq offers an extensive range of modular and portable buildings, ideal for creating hotels and resorts for temporary or permanent use. 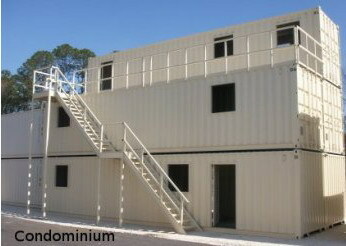 Our container buildings are available in a wide range of sizes and multiple levels. For flexibility, internal layouts are designed to meet your hotels and resorts requirements. The container hotel and resorts is fully equipped including climate control systems, high quality furniture and telephone/internet access systems to create a quality living environment. 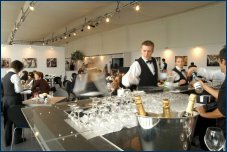 Dunia al Iraq offers an extensive range of modular and portable buildings, ideal for creating restaurants and kitchens for temporary or permanent use. 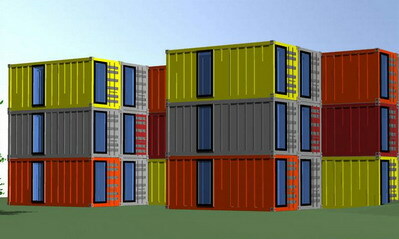 Our container buildings are available in a wide range of sizes and multiple levels. For flexibility, internal layouts are designed to meet your restaurants and kitchens requirements. 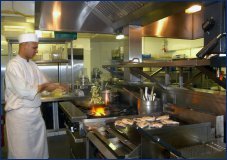 The container restaurants and kitchens is fully equipped including restaurant, cashier, bar, VIP rooms, master kitchen, preparation kitchen, dish washing, cold and dry storage rooms, climate control systems, high quality furniture and telephone access systems to create a high quality dinning environment. DUNIA AL IRAQ offers an extensive range of modular and portable houses, ideal for creating shops and gas stations for temporary or permanent use. Our container buildings are available in a wide range of sizes and multiple levels. For flexibility, internal layouts are designed to meet your shops and gas stations requirements. DUNIA AL IRAQ offers an extensive range of modular and portable warehouses, ideal for creating storages and hangers for temporary or permanent use. Our modular warehouse are available in a wide range of sizes and multiple levels. We offer an extensive range of modular and portable workshops, ideal for creating working environments for temporary or permanent use. 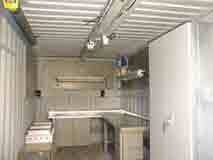 Our modular warehouse are available in a wide range of sizes and multiple levels. 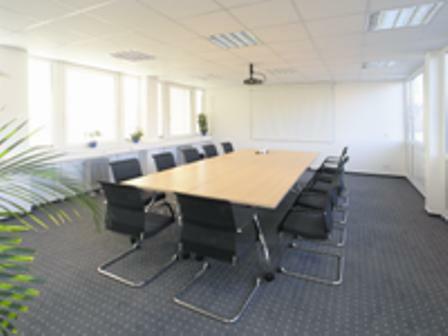 For flexibility, internal layouts are designed to meet your workshops requirements. 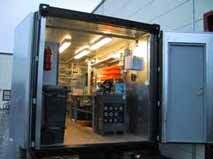 The container workshop is fully equipped with machineries, electrical system, and other special tools/structures. 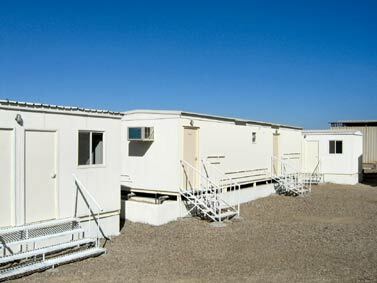 We offers an extensive range of modular and portable houses, ideal for creating workers housing for temporary or permanent use in the oil and gas and mineral exploration industries. Our container buildings are available in a wide range of sizes and multiple levels. 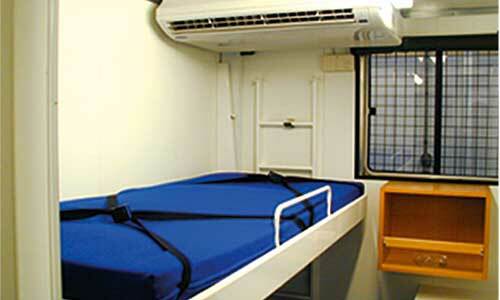 For flexibility, internal layouts are designed to meet your workers housing requirements. 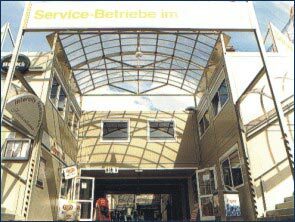 The container workers housing is fully equipped including climate control systems, high quality furniture and telephone/internet access systems to create a quality living environment. 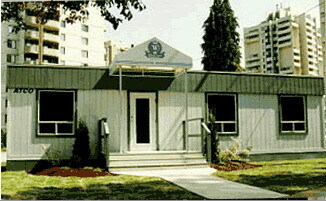 We offers an extensive range of modular and portable buildings, ideal for creating government offices for temporary or permanent use. Our container buildings are available in a wide range of sizes and multiple levels. For flexibility, internal layouts are designed to meet government office requirements. The container office is fully equipped including climate control systems, high quality furniture and telephone/internet access systems to create a quality working environment. We offer an extensive range of modular and portable houses, ideal for creating government housing for temporary or permanent use. Our container buildings are available in a wide range of sizes and multiple levels. For flexibility, internal layouts are designed to meet government housing requirements. The container government housing is fully equipped including climate control systems, high quality furniture and telephone/internet access systems to create a quality living environment. We offer a range solutions designed specifically for education. For larger accommodation needs, our modular building system can be used to create classroom blocks and even entire schools to provide temporary or a more permanent solution. 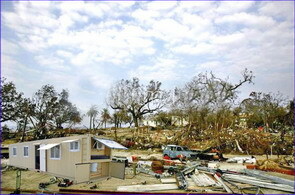 We offer an extensive range of modular and portable houses, ideal for creating clinics for temporary or permanent use. Our container buildings are available in a wide range of sizes and multiple levels. For flexibility, internal layouts are designed to meet clinics requirements. We offer an extensive range of modular and portable houses, ideal for creating government prison for temporary or permanent use. Our container buildings are available in a wide range of sizes and multiple levels. Our multi-purpose containerized houses are an excellent option to provide emergency/disaster relief housing to people dislodged by natural disasters, wars, famine, extreme poverty or any other event. Much stronger than tents and other common emergency housing solutions, our container houses are all manufactured from new, ISO standard steel containers and prefab sandwich panel houses that carry a 20 year structural warranty. All units have great resistance to natural disasters, including resistance to winds up to 100 mph (175 mph with anchoring). 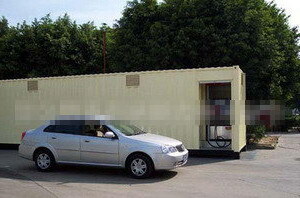 Requiring no foundations and no structural assembly, Our multi-purpose containerized houses can provide all the comforts of a "regular" house, like kitchen with diesel stove, bathroom with shower, living room, bedroom/office, AC 110v or 220v electrical wiring, telephone connection, internet connection, generator powered electricity, central water filter, septic incinerator, waste water recycling, air-conditioning, solar heating, thermal windows and doors, insulated finished walls and ceiling, finished linoleum/vinyl floor, etc. 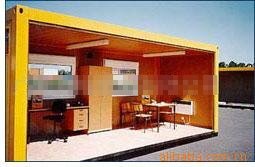 All our containerized houses can be shipped factory ready for dwelling. 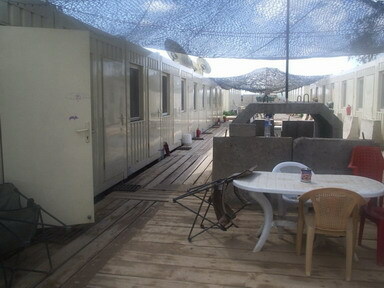 Dunia al Iraq containerized houses can be quickly transported via standard cargo container ships, cargo planes, helicopters, trucks or rail, enabling delivery even to the most remote, inaccessible areas. 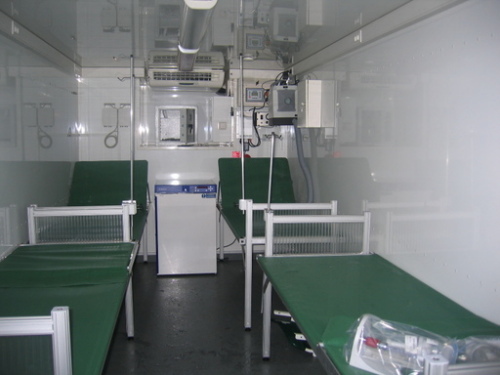 DUNIA AL IRAQ's multi-purpose containerized houses are an excellent option for state owned or private organizations that provide services in areas affected by disasters or emergencies. 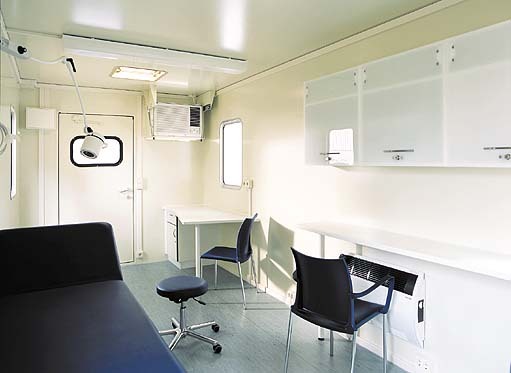 Besides their housing capabilities, our container houses can be transformed into workspaces for several purposes like portable clinics, shelters, military posts, police posts and many other diverse applications. 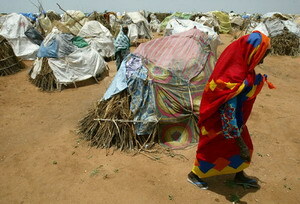 Being prepared for emergencies before they happen is vital for any organization working on the disaster/emergency areas. 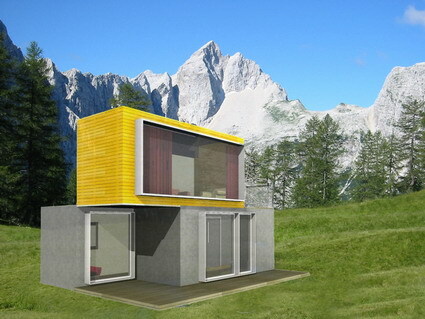 We are one of the leading, worldwide suppliers of high-quality prefab containerized houses.